Bangladesh Chemical Industries Corporation (BCIC) has been published at http://bcic.gov.bd/. BCIC jobs Apply online for the post Asst Engineer and Sub Assistant Engineer of Chemical and civil. 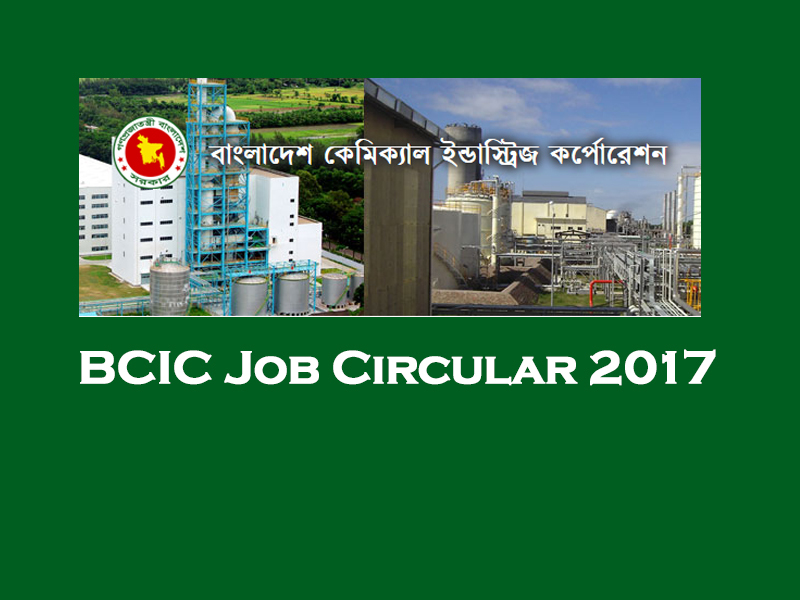 BCIC Job Circular online apply start 13th June and continue up to 6th July, 2017. Bangladesh Chemical Industries Corporation (BCIC) online apply website http://bcic.teletalk.com.bd/. Total Bangladesh Chemical Industries Corporation (BCIC) are 91 candidates. Job Description: This job position is Bangladesh Chemical Industries Corporation under job title Assistant Engineer (Chemical), Assistant Engineer (Civil), Sub-Assistant Engineer (Chemical) and Sub-Assistant Engineer(Civil) is Bangladesh Chemical Industries Corporation (BCIC) job vacancies. Where to Apply: Every Interested candidates can Apply Online 2017 by this website at http://bcic.teletalk.com.bd/home.php. Candidates have to pay online application fees by Teletalk mobile phone. An application fee is BDT. 200/- Candidates have pay application charge by Teletalk sms. Reply: Applicant’s Name, Tk-200 will be charged as application fee. Your PIN is (8 digit number). Reply: Congratulations! Applicant’s Name, payment completed successfully for BCIC. User ID is (xxxxxxxx) and Password (xxxxxxxx). You are Here For: www bcic gov bd, bcic teletalk com bd, bcic. 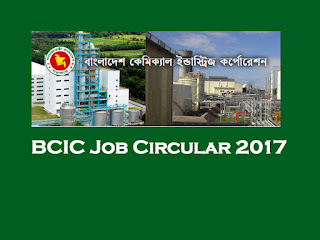 bcic exam date, bcic admit card, bcic gov bd, www bcic teletalk com bd, bcic job circular 2017, TICI job circular, bcic admit card 2016, bcic teletalk, www bcic teletalk com, bcic result 2016, www bcic com, tici teletalk com, teletalk bcic, tici exam result 2017, bcic result 2017, www bcic, Bcic job circular.